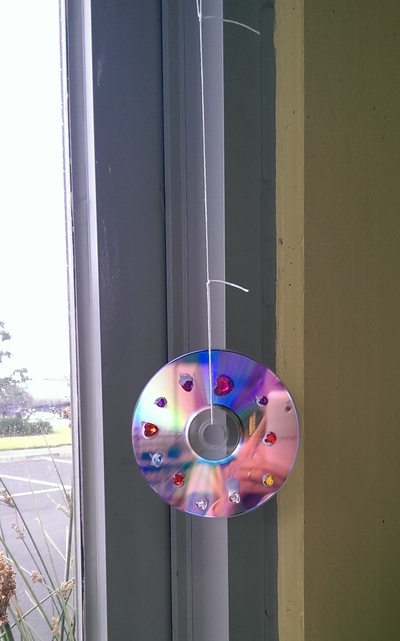 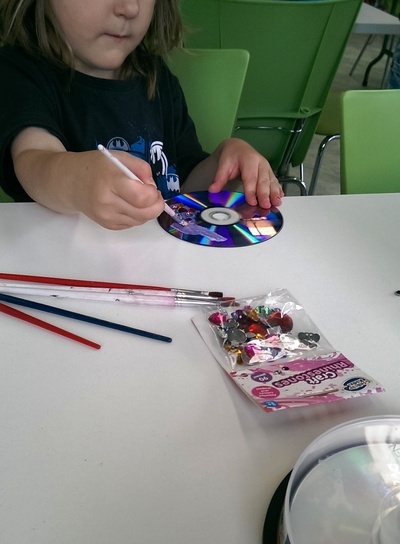 Use CD's or DVD's and turn them into pretty suncatchers. 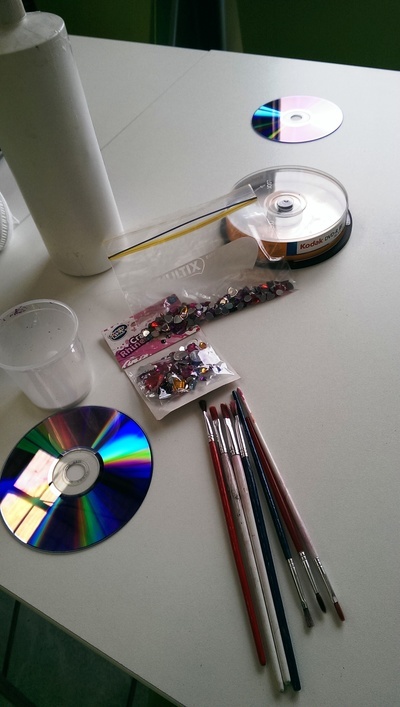 An easy project that most ages will be able to do. 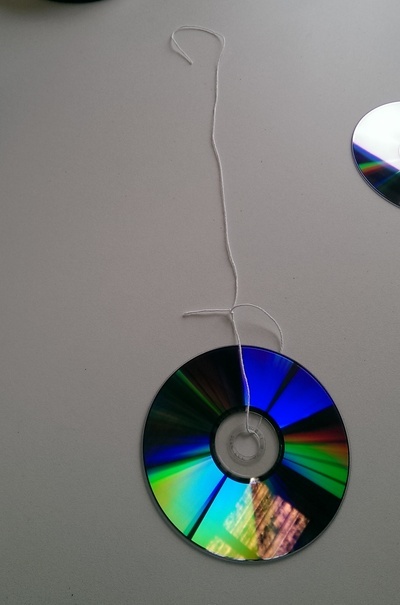 Cut string with scissors to appropriate hanging length, and tie in a knot through the inside hole of your CD/DVD. 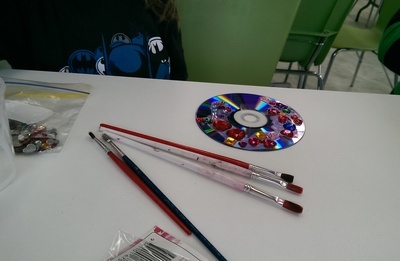 Add generous spots of PVA glue randomly to your CD/DVD with a paintbrush. 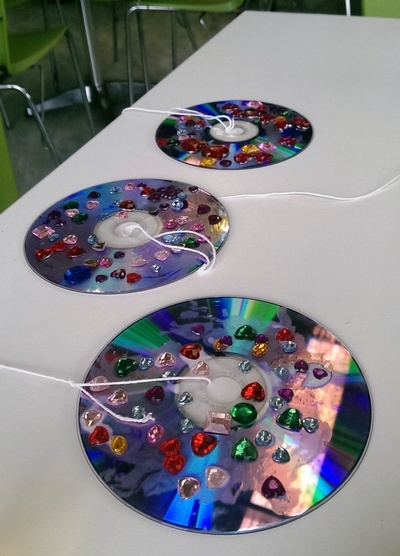 Decorate with gemstones as you wish. 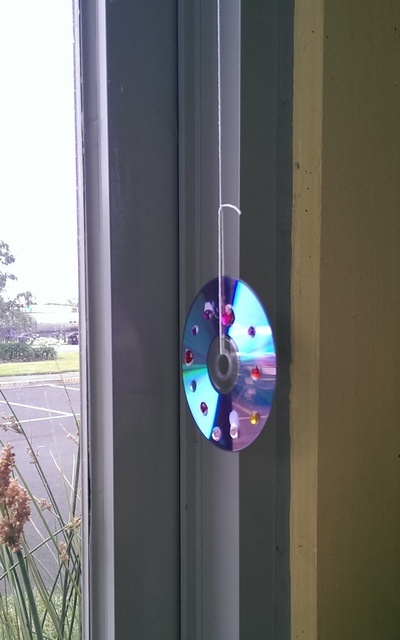 Attach to a window or bright spot in your house or classroom and watch the colours shine through.